Tracy’s, established in 1994 on St. Patrick's Day, is a popular local pub located in Long Beach, California. 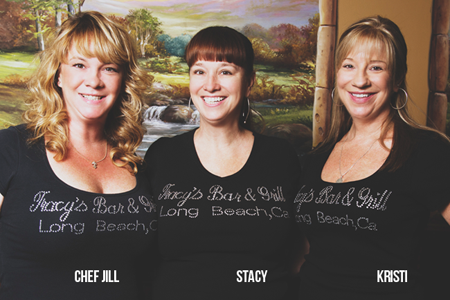 In June of 1999 three sisters Kristi, Jill, and Stacy proudly accepted the keys from the former owner, Long Beach police officer Mike Tracy and his wife Suzi. After acquiring the place, Chef Jill, a graduate of the California Culinary Academy of San Francisco, changed the menu by elevating it from just pub fare to gourmet. The entrees are larger in portion and give a nod to the Irish beginnings as well as mixing in some of the Italian flavors from their family background. The food is approachable and comforting, the type of food you would expect from a local restaurant but within the fun atmosphere of a pub. No greasy fries or frozen chicken nuggets here, folks!